Scenario: A librarian is hiding more than just foreign books in the shelves. 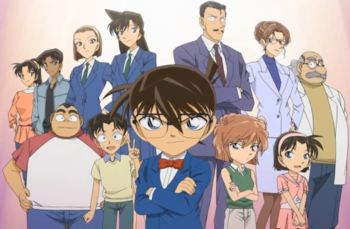 Conan and the Detective Boys sneak into the library at night after seeing police look for a corpse of a missing librarian. They see the director,Tuttlebore, packing imported books that Conan found wrapped up earlier into a briefcase. Unaware of the children's presence, he boasts to himself of being able to hide the body of the missing librarian in the library without the police finding it. They decide to look for the remaining books that Tuttlebore wasn't able to take with him. After an exhausting search, they realise that there is a middle row of books between the outside two that doesn't have a spine giving the impression of it being the opposite book. In each of these fakes they find packets of narcotics. Realising that the body is on top of the elevator Conan calls it up while manually opening the door. 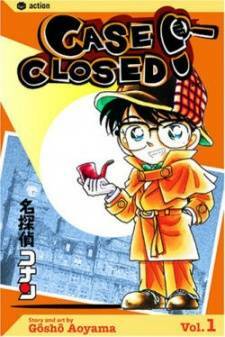 They find the dead body of the missing librarian but inside the elevator there is the director. After narrowly escaping him they set a trap for him which knocks him out.